Read articles on the latest health news and information by Rainbow Foods staff. The holiday season is looming, an auspicious time to discuss specialty cheeses. A fine artisanal cheese is a welcome addition to any holiday gathering. The only problem is, there are so many fantastic cheeses to tell you about, and so little space! The following are some of our current favorites at Rainbow Foods. They represent a small but carefully chosen cross-secttion. Some are rare, others relatively well known. I have included some of the fine American cheeses which are now available. These domestic cheeses reflect a degree of quality and innovation which makes them worthy rivals to old world favorites. Chabichou is a soft goat’s milk cheese from the Loire Valley in France which is considered one of the great cheeses of the world. When young, it is fresh, sweet, and mild. It ages to a piquant and intensely nutty flavor. Le Chevrot is a drum shaped, Chabichou style cheese which weighs approximately 200 grams. It is a scumptious little cheese which may be halved, heated and served atop individual plates of greens. (Try it with baby arugula or herb salad mix.) It is especially delicious spread with a clove of mashed, roasted garlic onto a piece (or several pieces) of crusty bread. A soft ripened triple creme cheese made from gently pasteurized cows milk, Pierre Robert is a small production cheese made by legendary French cheese maker Robert Rouzaire. Pierre Robert has a distinctive raw milk quality owing to the fact that the milk it is made from is not over heated. It has an earthy, slightly grassy aspect. If you close your eyes while eating it, you may find yourself transported to the sun drenched French countryside. With a 70% butterfat content, it is incredibly rich. Pierre Robert pairs fantastically with berries and tropical fruit to make a spectacular party tray. It is not always available so if you see it, buy it. You will not be disappointed. Considered by some to be Northern Italy’s best kept secret, Taleggio is a favorite of cheese authority Steven Jenkins, author of the Cheese Primer. It is a washed rind cheese made from raw or gently pastuerized cow’s milk of exceptional quality. Taleggio has an orange-brown rind and is soft enought to cut with a butter knife. Younger Taleggio is tart and salty. According to Jenkins, as it ages the flavor becomes more complex, “rich, buttery and beefy with hints of fruits and nuts.” In Italy, a few slices of Taleggio may be melted on top of polenta. It pairs well with fruit and bread, or just skip the fruit and bread and eat it by itself. Considered to be the “king of cheeses.” Parmegiano-Reggiano is the original Parmesan cheese which most people outside of Italy have never tasted. The so-called “Parmesans” sold in most stores are little more than pale imitations. Parmegiano-Reggiano has been made int he traditional manner for over 700 years only in Parma, Reggio-Emilia, Modena, a portion of Bologna and Mantua. The manufacture is strictly regulated as to the quality of the milk, the expertise of the cheese makers, the specific area where it is made, and the length of the aging period. Real Parmesan has an enormous flavor. According to Steven Jenkins: “As a table cheese, it will melt in your mouth, lozenge-like, creating a thick, delicious, piquant paste. 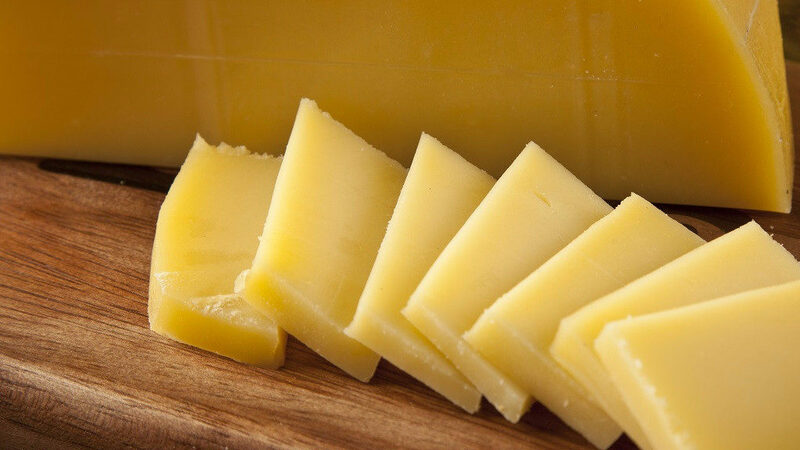 In cooking its huge flavor disperses and unites with other ingredients to raise their presence and heighten their impact.” It is the pre-eminent grating cheese and although it is expensive, a little bit goes a long way. Named outstanding new product of 2005 by Specialty Foods Magazine, this cheese is an innovative twist on Roge Creamery’s clasic Oregon Blue cheese. Smokey Blue is a handmade blue cheese which has been cold smoked for 24 hours and then cured for 30 days. According to Rogue’s David Gremmels: “The smoking process releases a sweet, creamy smokey flavor that balances out the tangy sharpness of the blue. People who are hesitant to taste blues are enjoying the subtle, smokey flavor, paring it with everything from spiced beers and red wine to pasta and red meats.” For a special seasonal treat, whip it together with heavy cream and use it as a decadent filling for mushrooms. From the cheese makers at Cyprus Grove in Humboldt county, California, comes this truly distinctive goat’s milk cheese. Covered with an edible white mold bloom which is coated in a layer of ash, this cheese has another line of ash running through its center. This makes for a stunning visual presentation, the dark grey ash contrasting beautifully with the stark white rind and interior. Even better, Humboldt Fog tastes as good as it looks, with a creamy texture and delicate flavor that has earthy undertones which become more pronounced with aging. Ealier in the summer, we sampled artisinal cheeses from the West Coast, and Sally Jackson’s cheeses were probably the most popular of everything we sampled. Made from pasture grazed raw milk of superlative quality, Sally Jackson’s cheeses are carefully wrapped in sturdy chestnut leaves to create a rind and protect it while it ages. These cheeses are not entirely standardized like cheeses from larger, more commercial operations. Each wheel will taste slightly different depending on the weather, what the animals were munching on, and the general mood of the day they were made. The texture is semi-soft, the color yellow and buttery, the flavor complex and rich. Simple, honest quality with a complete lack of pretension, Sally Jackson’s is cheese as it was meant to be. The aforementioned cheese are but a fraction of our current offerings at Rainbow. Between now and the end of the year there will be new cheeses arriving weekly. We are always open to your feedback on new cheeses you would like us to sell. Some of our favorite cheese have been recommended to us by our customers! 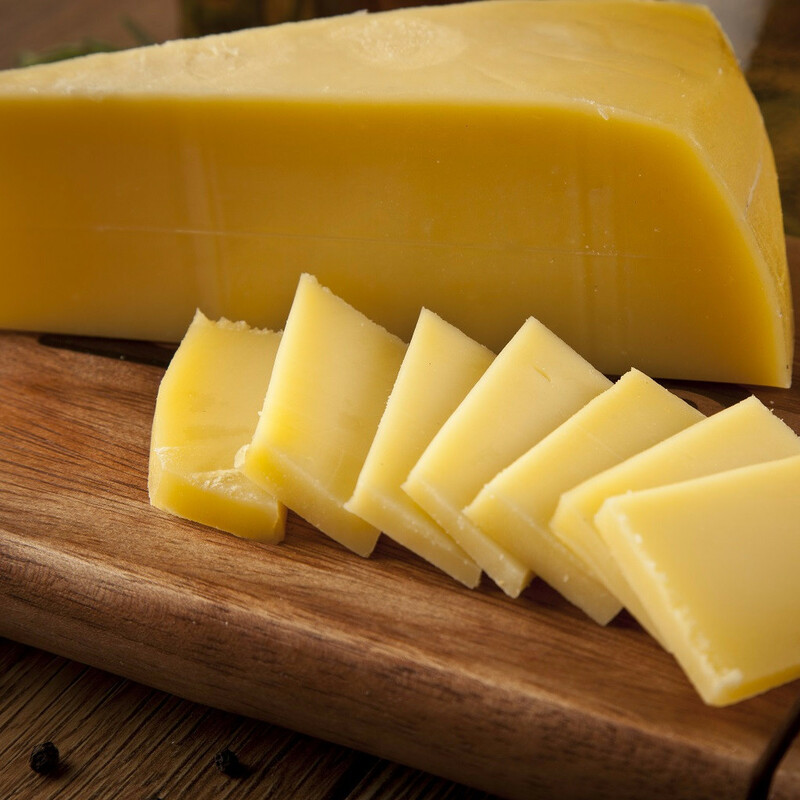 Cheese is an ancient food which can be the basis of the simplest meal or the most elaborate feast. We invite you to discover the world of flavor offered by fine specialty cheeses.